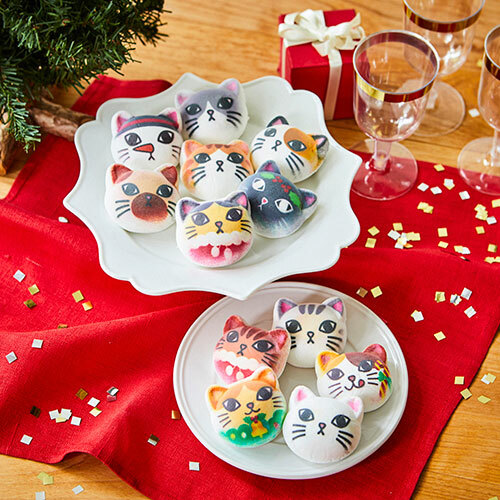 Felissimo Neko-bu now selling Christmas themed cat marshmallow sets! 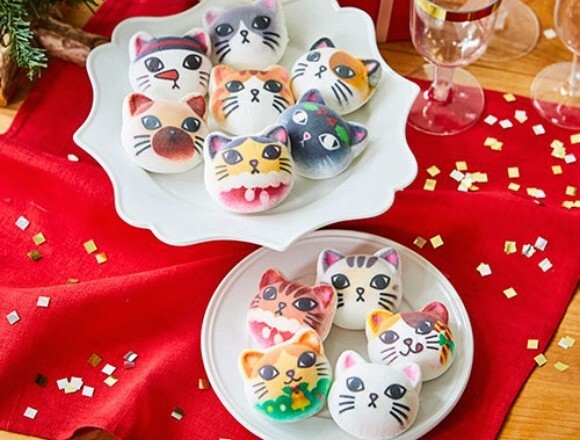 “Felissimo Neko-bu” are selling a set of 12 cat shaped and Christmas themed marshmallows on their website. They are available to order until December 6th. These soft and spongy marshmallows feature Felissimo’s cat mascot “Tsundere Nyan” wearing Christmas themed outfits. 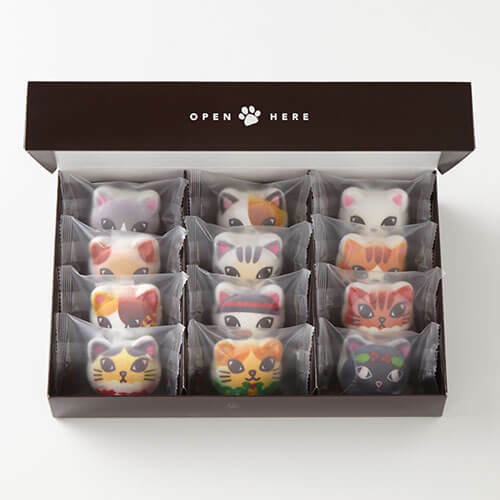 As always with Felissimo Neko-bu products, part of the sales of these marshmallows go towards numerous causes including shelter for animals with no owners, and for helping find them owners, as well as aiding towards getting stray cats off the street to avoid overpopulation, and for protecting animals during times of disaster. There are 6 “Nya-shmallows” with Tsundere Nyan dressed up in Christmas clothing and 6 regular Tsundere Nyan designs for a total of 12 in the set. These would be perfect to hand out at a Christmas party held by friends or family. 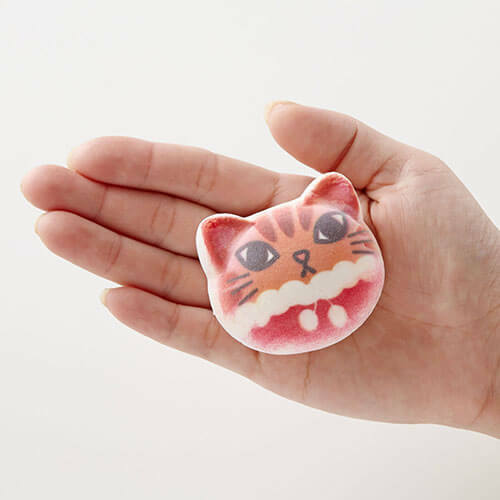 But Tsundere Nyan’s facial expression makes them just too cute to eat! The 3D shape of the marshmallows will have you poking Tsundere Nyan’s round ears without even realizing. 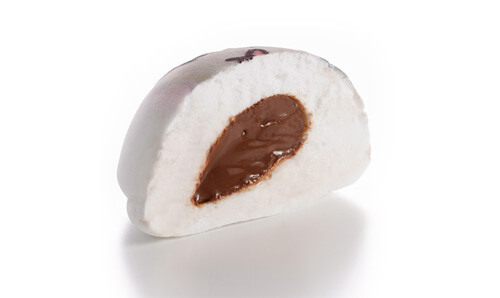 The marshmallows are fairly large and are filled with rich chocolate cream so you’ll be satisfied after just 1. Everybody will be smiling and talking about these tasty treats the moment you open the box. What’s better is that each marshmallow is conveniently packaged individually so you can give them away as presents. 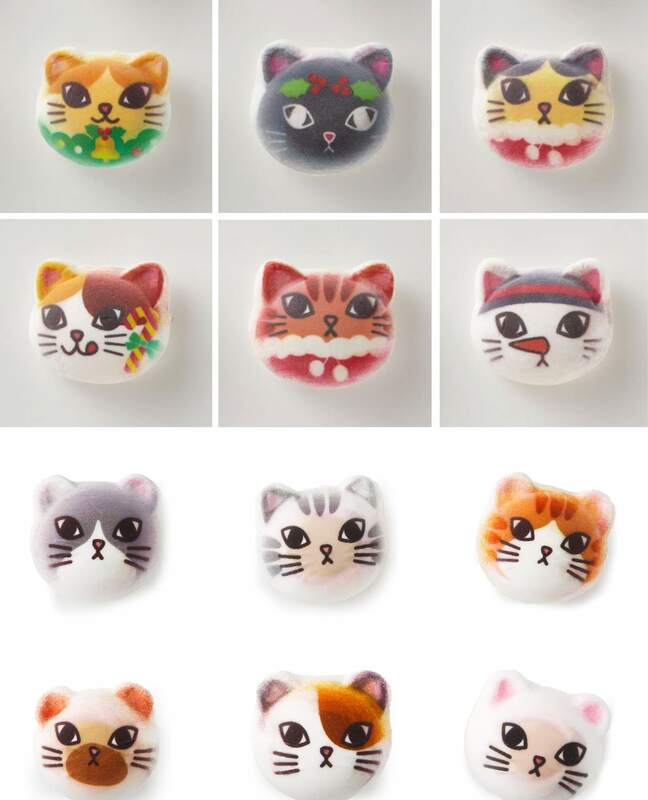 Don’t miss out on these scrumptiously satisfying and absolutely adorable Nya-shmallows! *Shipping fee not included in the product’s price. An additional ￥540 (=￥500 + tax) shipping fee will be added to the displayed price. Storage: Store at room temperature up to 40 days from the date of production. *Exchanges and refunds are only available for defective products. *Please do not feed the marshmallows to real cats.